The Wonderfruit festival is returning for another year in the fields at the Siam Country Club, in Pattaya, Thailand from 12th until 16th December 2019 noon. The festival prophets a platform for inspiration and wonders. Since its humble beginnings, the festival has created a footprint for positiveness. The festival is an annual festival in Pattaya, Thailand. Wonderfruit is a lifestyle, music and arts festival that takes place each year on the outskirts of Pattaya. The focus of the celebration is sustainability and social responsibility. They have a massive amount of musical performances from international and local artists. Stunning art installations decorate the site. Wonderfruit also offers talks, workshops and an array of Thai and western food and cuisine. Production company Scratch First wanted to create a unique festival in Thailand. Their approach was more of a holistic one, providing a platform for individual experiences. Attendees from all around the world will be attending and take part in this fantastic event. Scratch First aims to be a catalyst for positive and social change. They want to create awareness of global issues. Wonderfruit is an environment for creative minds to explore, express and come together. The event curators provide a handpicked selection of incredible artists delivering music and art from sunrise to sunset and late night every year. The line up of artists will be announced closer to the date. Some of the worlds most famous artists and installation designers will decorate the site. 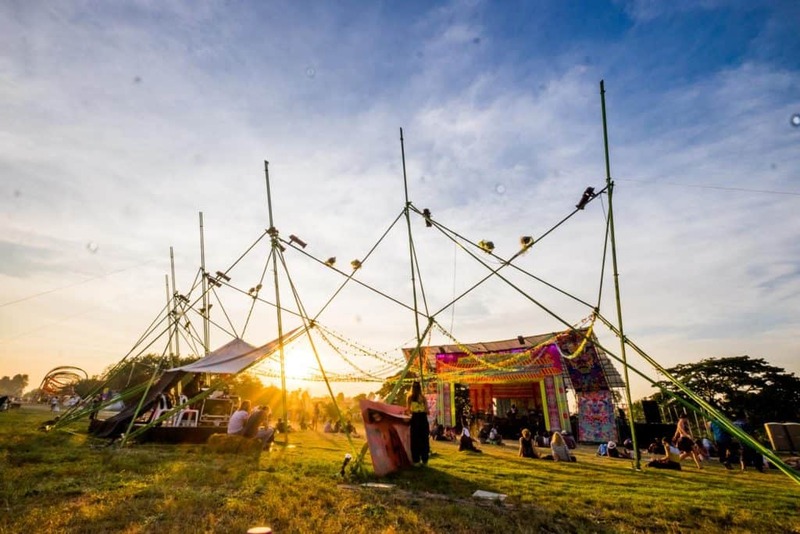 Expect a spiritual centre point for sunrise music performances and DJ sets on this fantastic stage. Late night entertainment will take people way into the night. Here you will find many international DJ’s and artists alongside some of the regions local talent. A vast banqueting hall, feeding all the hungry workers and festival goers. The Theater will play host to some of Asia’s most respected and groundbreaking chefs. The location is the field at Siam Country Club is in the heart of the Pattaya countryside and is easy to access from all parts of Chon Buri and Pattaya City, and is expected to be an exciting event for people of all ages and especially for families with kids.